You are here: Home / Hot Air Brushes / Which Is The Best Brush For Curly Hair? 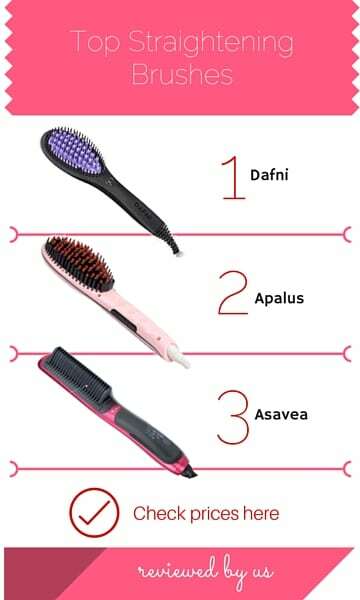 Do you brush your curly hair? I have the curliest hair ever and although I get so many compliments on it, it is so difficult to maintain! I try not to brush it as much as I can because it goes really frizzy so I usually use my fingers to separate the curls but before I wash it I always brush it out because otherwise I end up with knots and this really damages my hair. If I want to put my hair up or plait my hair I also need to brush it out so having a good quality brush is essential. Having said that, finding a good quality brush is really hard. 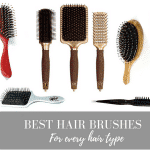 Curly hair is easy to pull and snag so I have done a lot of research and tried plenty of different brushes myself so I consider myself an expert on the subject! If you want to know what the best brushes are for curly hair – read on, I’ve don’t all the hard work for you. They say the worst thing you can do for wet hair is yank a hairbrush through it and this is especially true for curly hair. 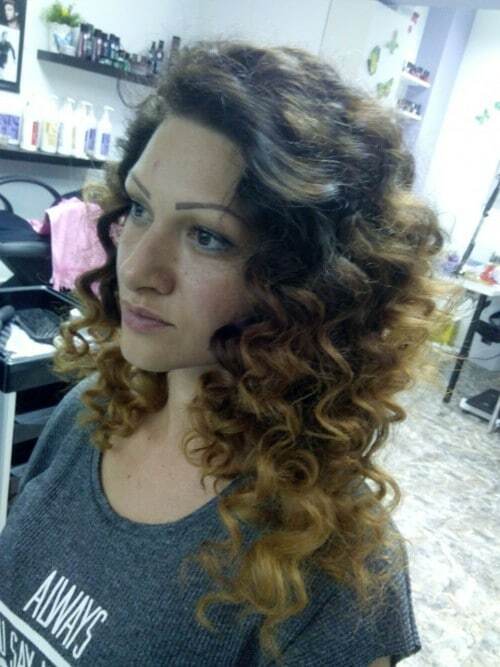 If you pull wet hair it snaps and curly hair tends to be drier than naturally straight hair so more prone to snapping. I always struggled with brushing wet hair until I found the best detangler I think there is. The Hair Tamer Black Ergo Detangling Brush is a bargain on Amazon and is a Godsend. 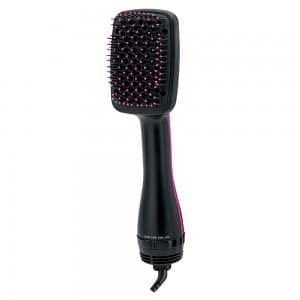 It has wide bristles which don’t pull my hair and it glides through. I’ve noticed hardly any snagging and I love the price. If you’re reading this and you have straight hair you can still use it because it’s suitable for both. For curly haired girls you’ll know what I mean when I say it removes tangles, it’s amazing – like magic! You can also use it on dry hair and it gives a great scalp massage when washing hair. I use it to comb through conditioner too and I think it helps with end styling because it takes the conditioner right the way through. I just LOVE this brush! Don’t hesitate to buy it. I bought a trusty Denman Cushion Brush because it’s one of those brushes that has always been around so there’s an element of security that I feel comfortable with. However, I wouldn’t use this on wet hair but on dry curly hair it gets right through it because it has 9 rows of Nylon bristles and a padded cushion construction which makes it comfortable to use. 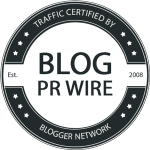 This is very inexpensive and receives very high reviews. Do note this is quite a small brush but that makes it great for travel or for taking out because it fits nicely in a handbag. It really helps to condition hair too because it spreads natural oils throughout the hair so if you want silky-soft curly hair this is a great brush to use overall. I would advise sectioning out hair carefully because if you brush too much hair in one go, it will snag and pull. However I think it is an all-round excellent brush to purchase for curly girls. 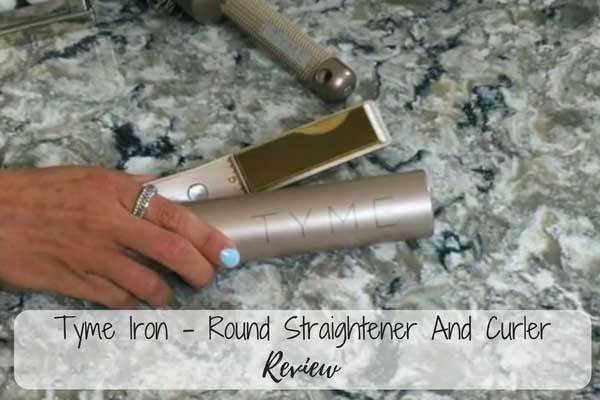 I am all about convenience so when I was looking for great brushes for curly hair I came across the Revlon Pro Collection One Step Hair Dryer and Styler. I thought this sounded amazing because it’s a brush that styles as you use it. Being a little impulsive I put it in my Amazon.com basket. It wasn’t cheap but it sounded great. Anyway, it’s quite heavy but it does smooth out your curls as you brush and it is fast. So if you’re looking for something to cut down on styling time (and it takes me up to an hour to style my hair) this is a good brush to try. You can also reach the back with no effort and because it has Ionic conditioning technology hair isn’t left frizzy looking but has a nice silky sheen. 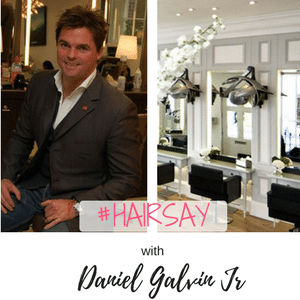 You might think it’s expensive but it’s actually worth the money because you only need one styling tool. It also straightens hair as well as curls it. 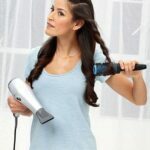 Do beware that it heats up to a very high temperature so adjust the heat setting according to your hair. There are two heat settings available which is useful. I do love my curls but every once in a while I like to transform my hair into sleek straight and shiny. 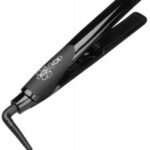 I’ve written a complete guide on hair straightening brushes. It changes my whole persona but finding a product that works well without frizzing up my hair is difficult. 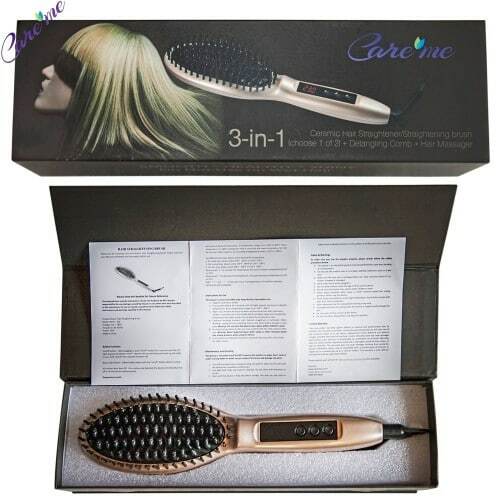 I tried the 3 in 1 Hot Hair Straightening Brush-Magic Detangling Electric Hair Iron Comb which looks just like a brush but it’s a hairstyler. It’s reasonably priced on Amazon.com and it scores highly in the reviews. 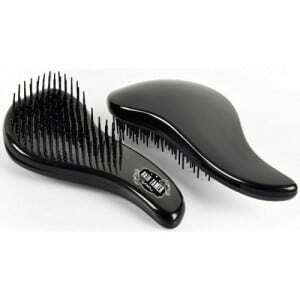 This brush has variable heat settings so the thicker your hair the higher you can go. I like variable heat because there is no danger of over-heating your hair if you use the correct setting. 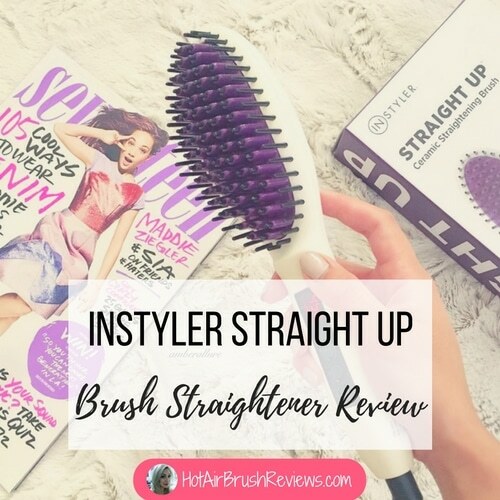 It also detangles and removes knots because the bristles aren’t too stiff, I didn’t notice any pulling either and there’s anti-static technology so no frizz, hair does come out very smooth. Don’t use it on wet hair though, you need to dry hair thoroughly first. I honestly love this brush and it works really fast. 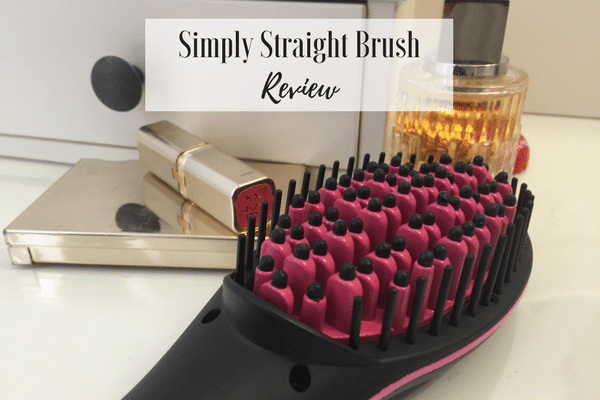 So there are my 4 must-have brushes for curly hair – see, I told you I’d done all the hard work for you!